Janell O’Rourke, Animal Balloon, enamel on paper , 26 in X 20 in, 2000. 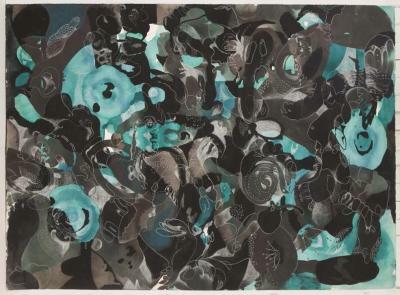 Janell O’Rourke, Crustacean, gouache on paper , 25 in X 19 in, 1999. 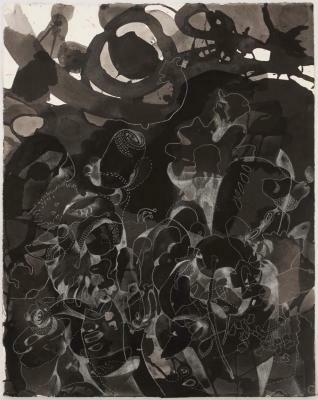 Janell O’Rourke, Cut Sumac, charcoal on paper , 39 in X 27.5 in, 2001. 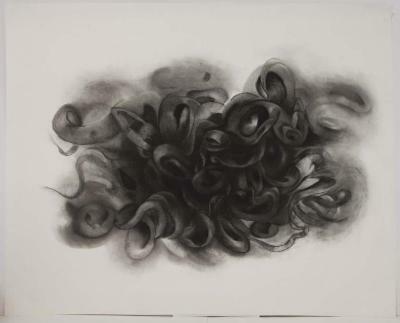 Janell O’Rourke, Sponge, charcoal on paper , 39 in X 27.5 in, 2001. 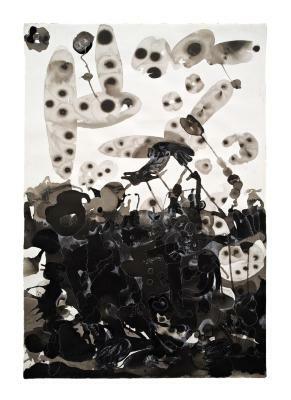 Janell O’Rourke, Untitled, ink, gouache, white conte , 42 in X 30 in, 2002. Janell O’Rourke, Puff, Charcoal, 35.5 in X 45 in, 2008. 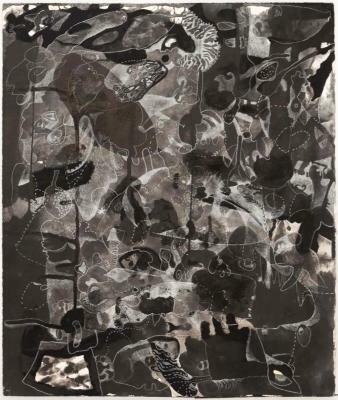 Janell O’Rourke, Within/Without 7, Ink / gouache / conte, 42.5 in X 30 in, 2002. 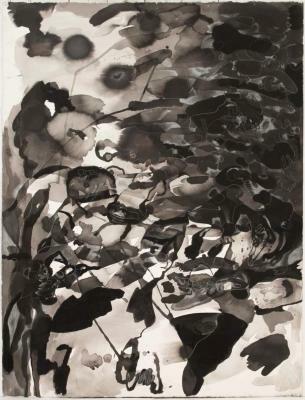 Janell O’Rourke, Within/Without 8, Ink / gouache / conte, 42 in X 30 in, 2003. 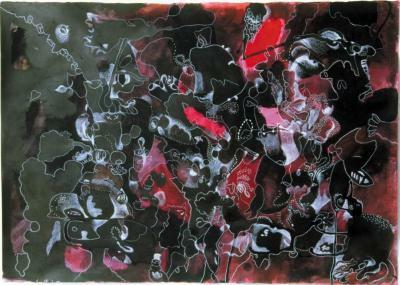 Janell O’Rourke, Within/Without 9, Ink / gouache / conte, 44 in X 30 in, 2003. Janell O’Rourke, Within/Without 10, Ink / gouache / conte, 20 in;20 in X 17.5 in;17.5 in, 2004. Janell O’Rourke, Within/Without 11, Ink / gouache / conte, 26 in X 20 in, 2004. 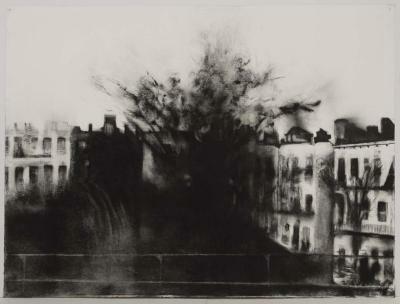 Janell O’Rourke, M Train 5, Charcoal, 38 in X , 2007. 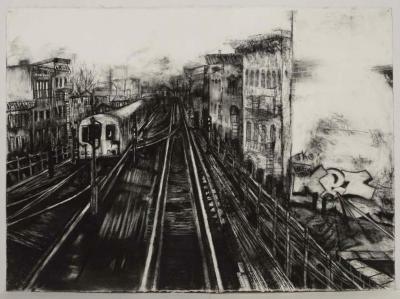 Janell O’Rourke, M Train 12, Charcoal, 22.5 in X 30 in, 2008. 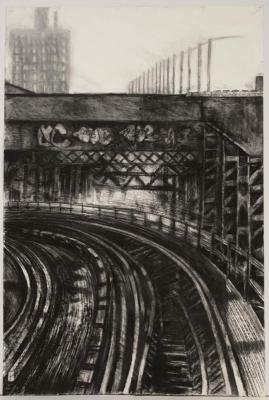 Janell O’Rourke, M Train 7, Charcoal, 22.5 in X 30 in, 2007.